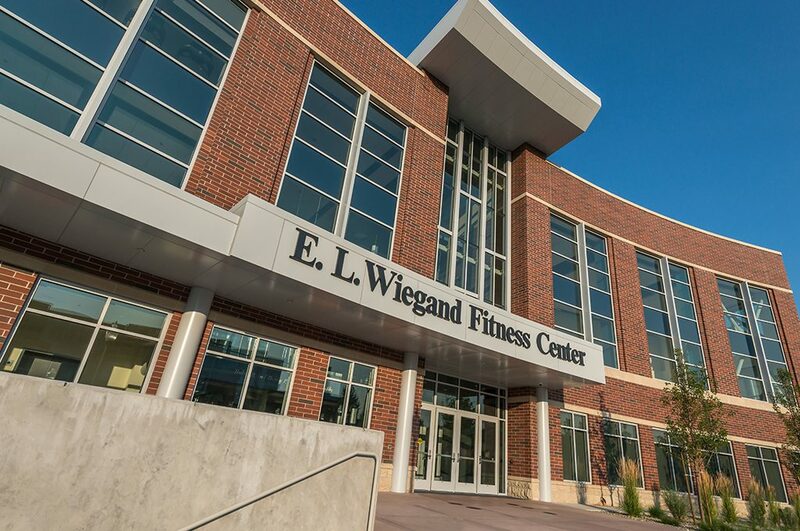 The new E.L. Wiegand Fitness Center combines physical fitness with learning and helps students succeed in their academic pursuits. 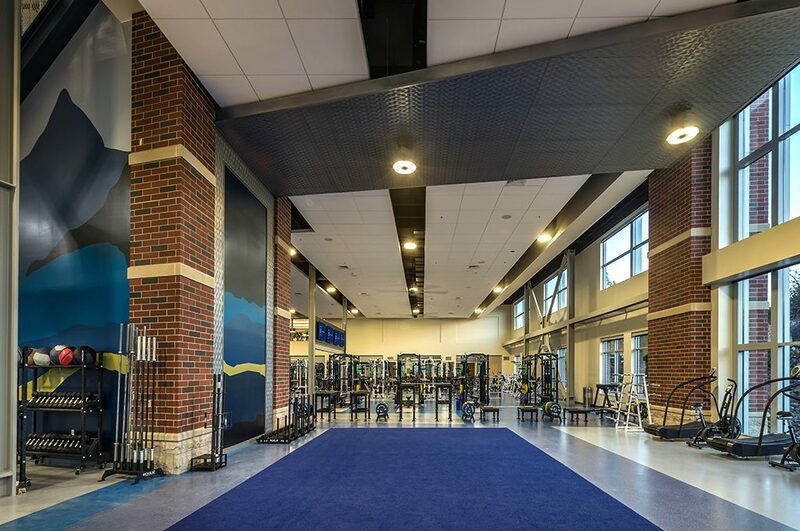 Back in 1974, when the previous fitness facility was finished, the student body was just 4,000. Today it is 21,000 students and growing. 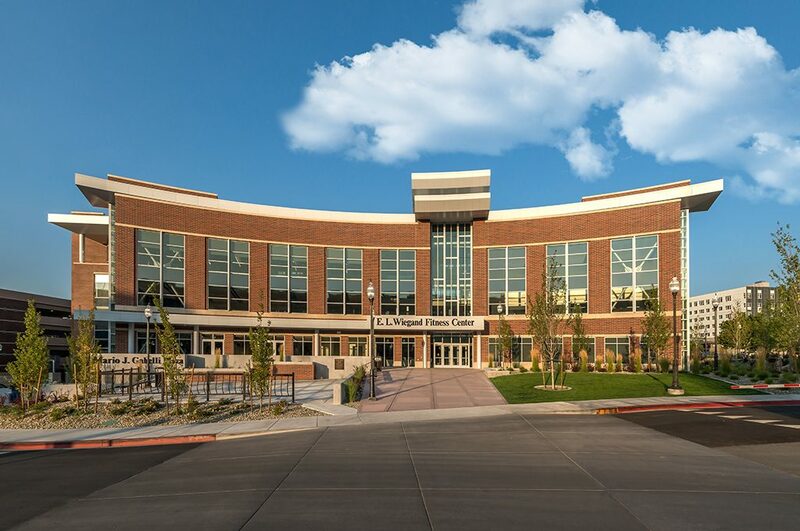 The University is focused on bringing top talent to our region to ignite the local economy and to transform the Reno-Tahoe region into a friendly, university town. 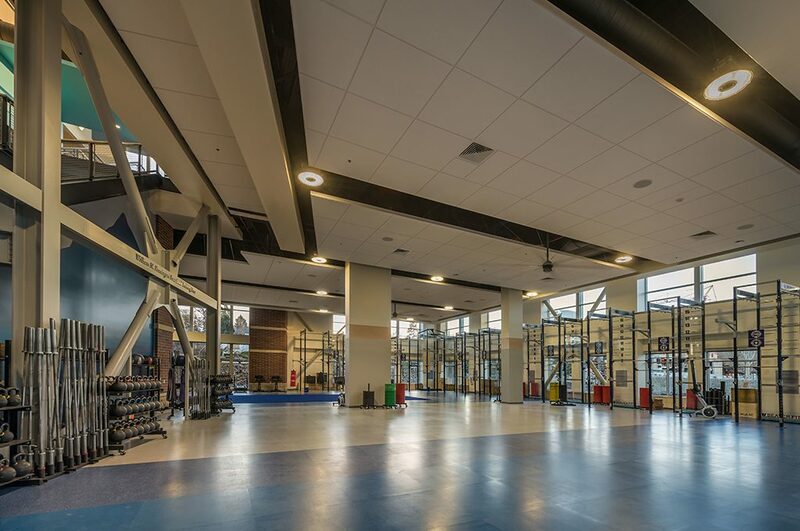 This world-class fitness center will better serve the student population and help the university compete to bring in new students who are choosing schools based on academics and amenities. 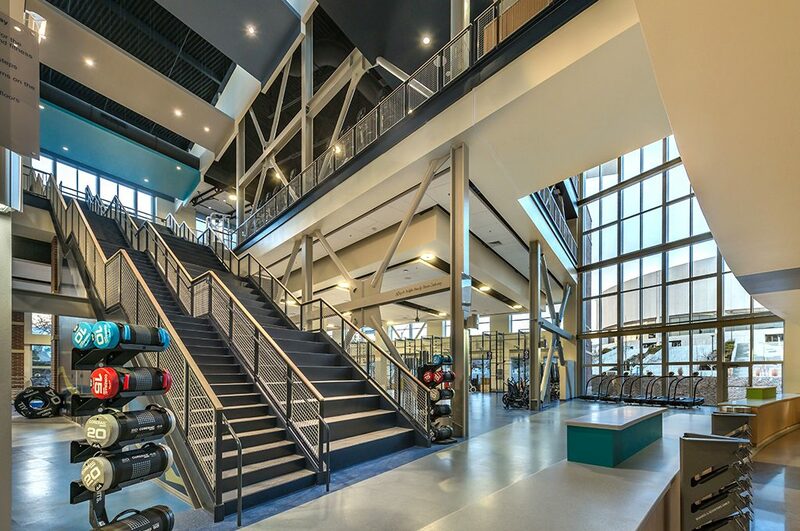 Selected as the CM at Risk (CMAR) contractor for the project, Q&D had the honor of working alongside the University and the design team, led by Worth Group, to create this one-of-a-kind fitness center. 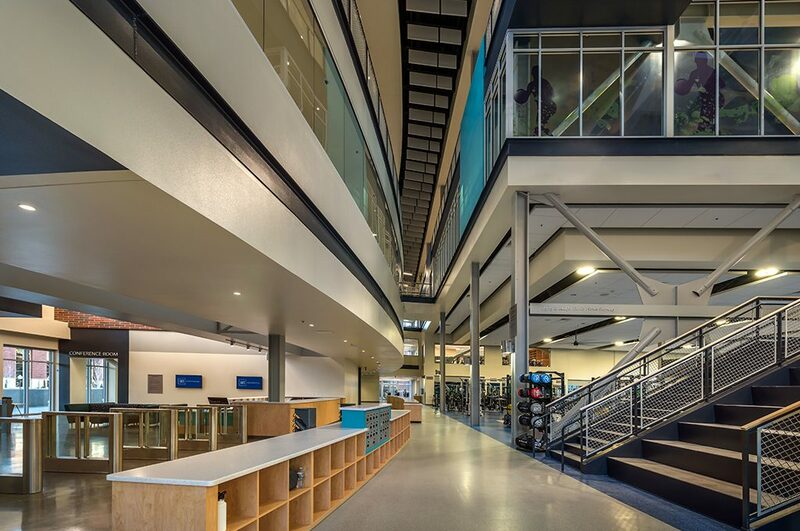 Through the project’s collaboration, the client uncovered needs that the original concept didn’t include like an underground parking garage, a new chilled water system tie-in, adjacent street upgrades and infrastructure upgrades for the campus. 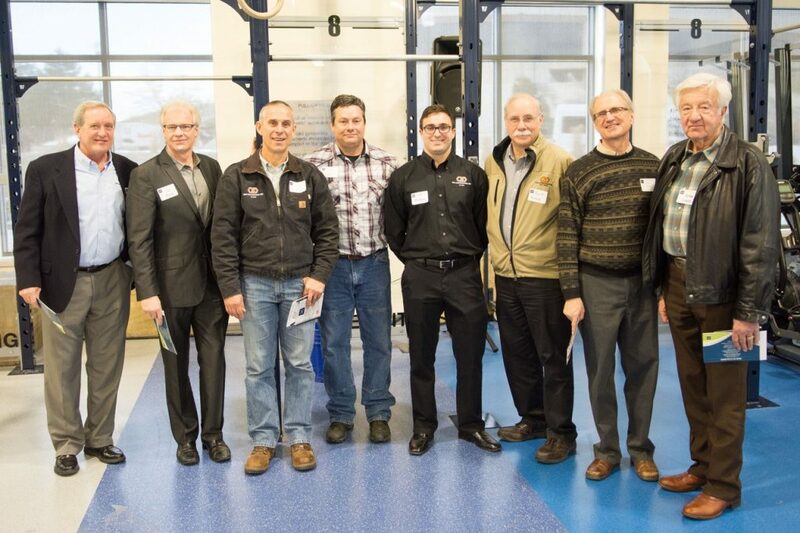 The team worked closely together to incorporate these items through a combination of value-engineering and added funding. 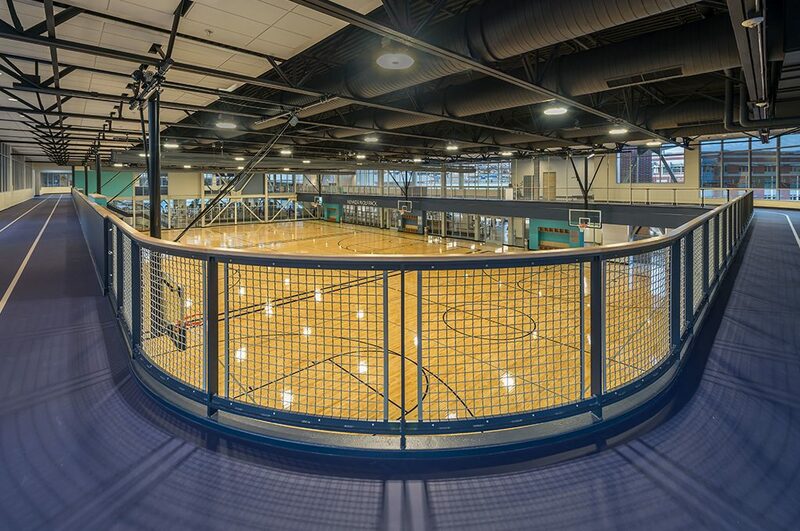 The four-story, 108,000-square-foot facility offers everything one needs to stay fit, including a gymnasium with three indoor sport courts, an indoor stadium-stair, a 200-meter 1/8th mile three-lane indoor running track, hundreds of pieces of workout equipment, as well as 9,000 lbs of free weights. 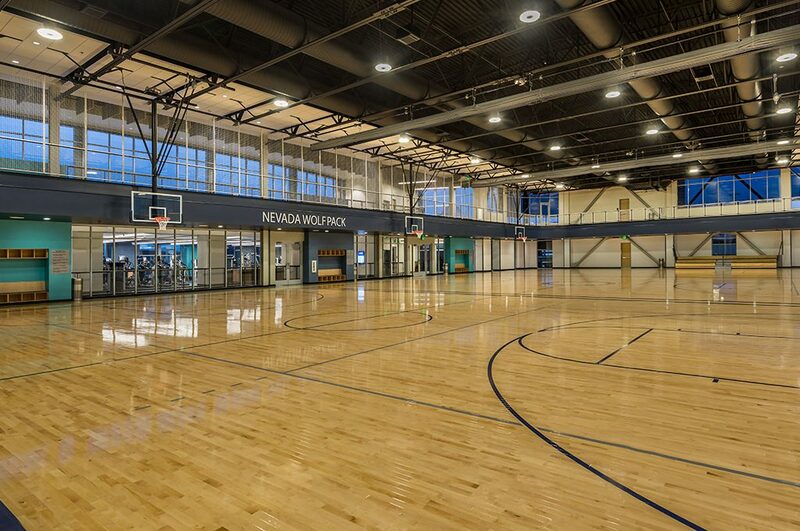 There are a variety of fitness classes to get involved with such as Pilates, yoga, TRX, aerobics, indoor cycling, rowing, Zumba, and many more. 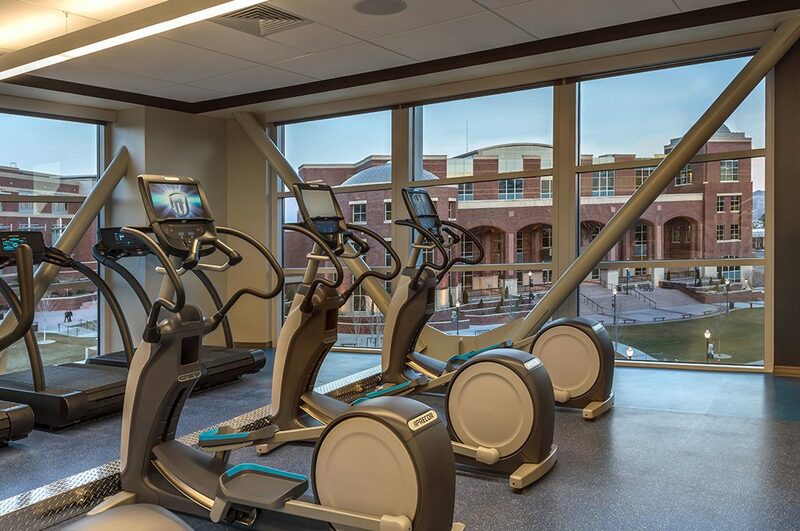 Students, alumni, and faculty can also experience the latest in fitness technology with a fun and unique cardio theater. 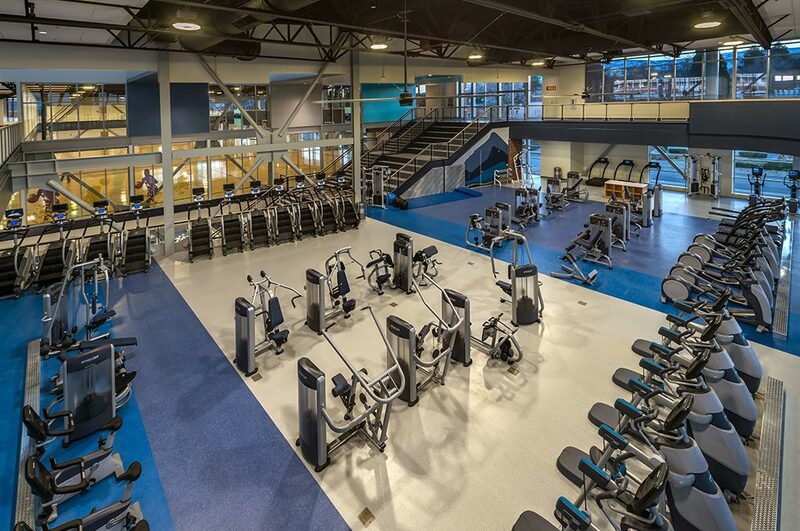 Each piece of cardio equipment has its own flat panel television. 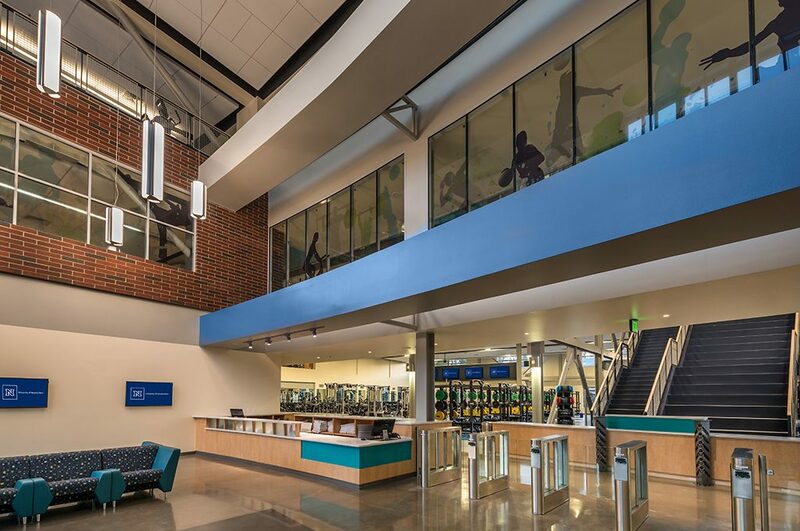 Q&D’s building information modeling team was able to use clash detection in the early construction phases of this project. 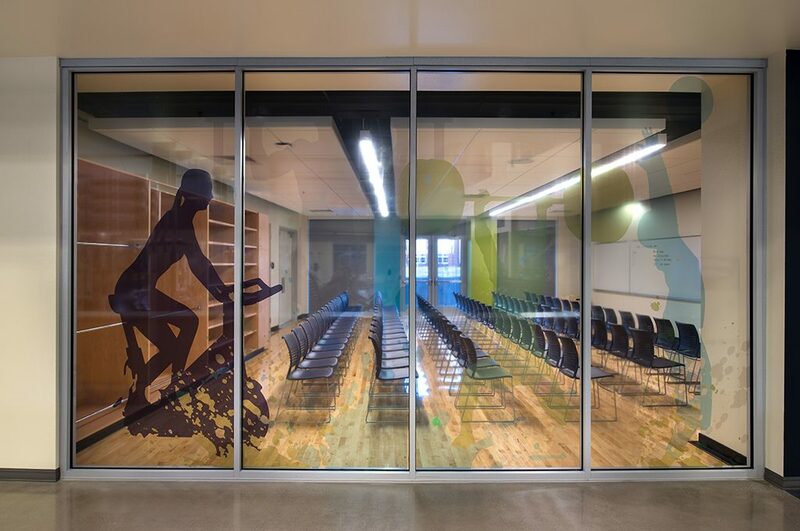 Working alongside subcontractors and the design team, we developed a single, coordinated model. This coordinated model allowed for materials to be ordered pre-cut and labeled for specific areas or the use of 3D modeling to pre-fabricate the materials in-house. In the end, this made for more efficient use of field labor. The clash detection team worked together over for four months, analyzing drawings and comparing them together. We estimate savings to be approximately $1.5 million from the reduction of field coordination issues, design changes and rework. 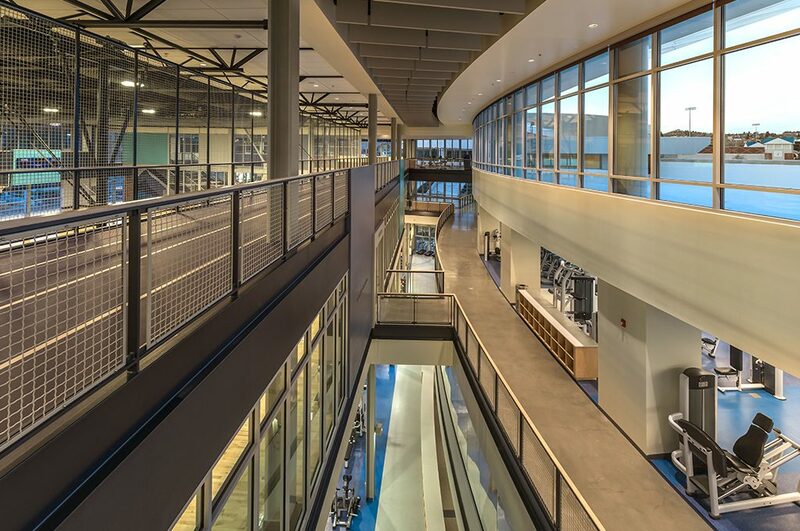 Q&D’s team worked diligently alongside the design team to provide a set of value engineering ideas and an updated, open-book estimate at each design milestone to align the design with the budget. Each idea was evaluated and discussed together as a team and the final decision was documented. 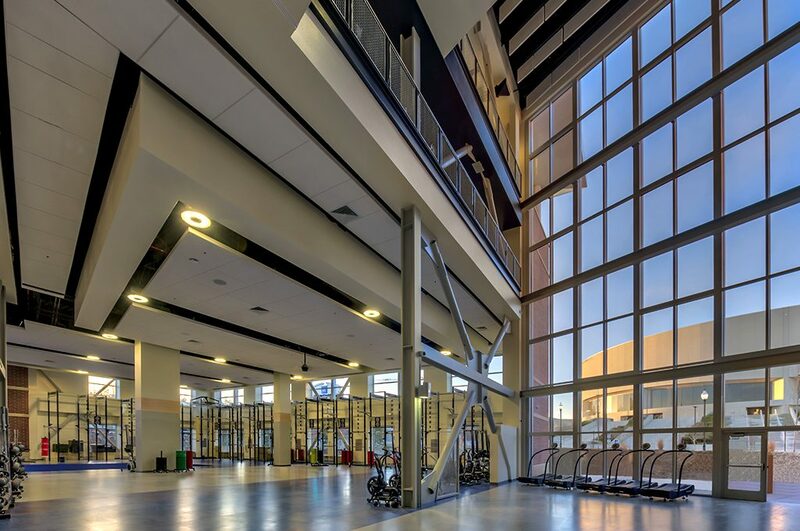 Over $2,000,000 in value engineering was accepted over the course of preconstruction. The result was a GMP, competitively bid to subcontractors with complete transparency, which was just under the budgeted amount. With any project there will always be unexpected issues that the team needs to work together to solve. 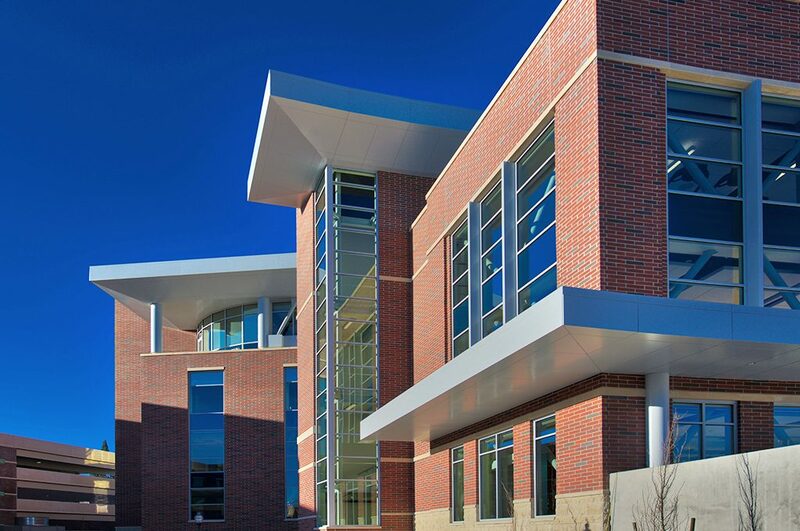 During the construction phase the Q&D team realized the soil conditions were not ideal for building. There was also six or seven feet of water underground that needed to be pumped out before the team could move to the next step of this project. Q&D helped improve and recycle the soil materials and installed de-watering wells to pump the water out shortly after this issue arose. 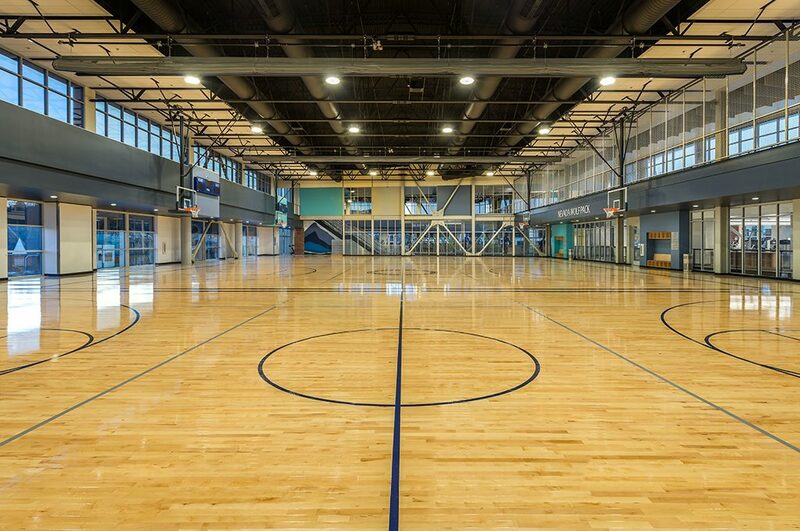 With quick thinking and response time from the team, the project was able to stay on schedule. 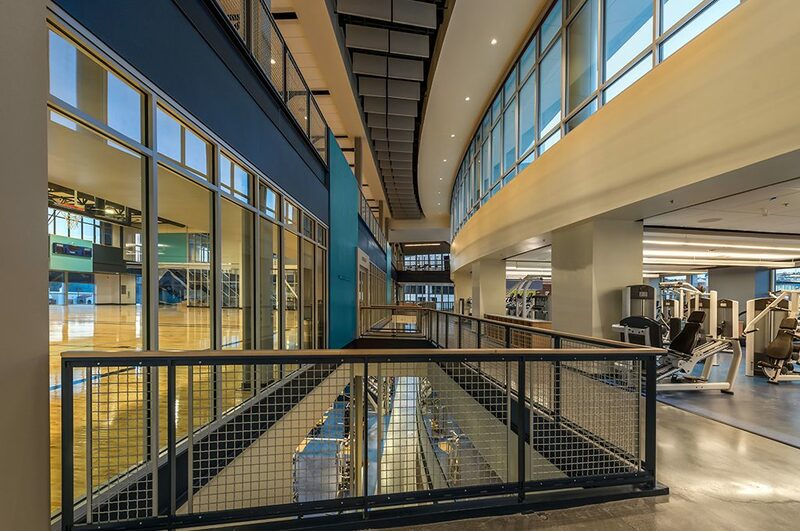 Q&D’s team worked seamlessly with the University and the design team to create and build not only a fitness center, but rather a fitness community, on campus that will be cherished for years to come.